Henry Roland Tuttle: "King Tut"
When 12-year-old Henry Roland Tuttle ran away from his home in Wonewoc, a flyspeck on the Wisconsin map 50 miles north of Madison best-known for a local Spiritualist Camp offering “Serenity…Peace…Harmony…Healing…Soul Nourishment” for 136 years, not even the boldest swami there would’ve predicted he would be reincarnated down the road as an Egyptian pharaoh who punched like a pyramid falling down. 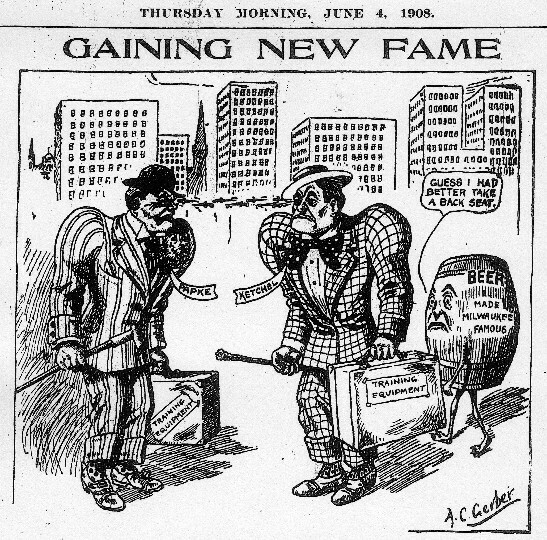 A native of Germany who boxed under an Irish name, Young Mahoney was famous a century ago as a fellow who could knock your block off and unblock your toilet. 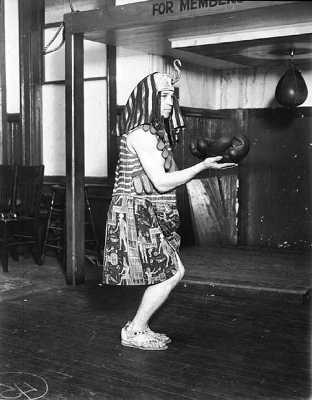 A natural middleweight, he brought down heavyweights — until he got into the ring with one named Jack Johnson. 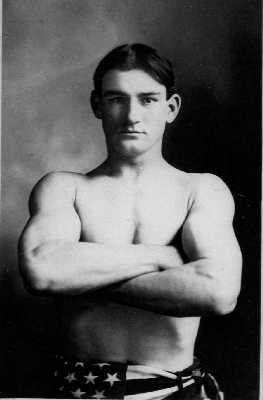 As a general rule, I would rather read about Joe Simonovich, Red Green, Vigo Doman or some other long-forgotten ancient pug than open a compilation of pieces about modern-day boxing. And while I believe in and affirm the equality of the sexes, I still cannot bring myself to watch women’s boxing. 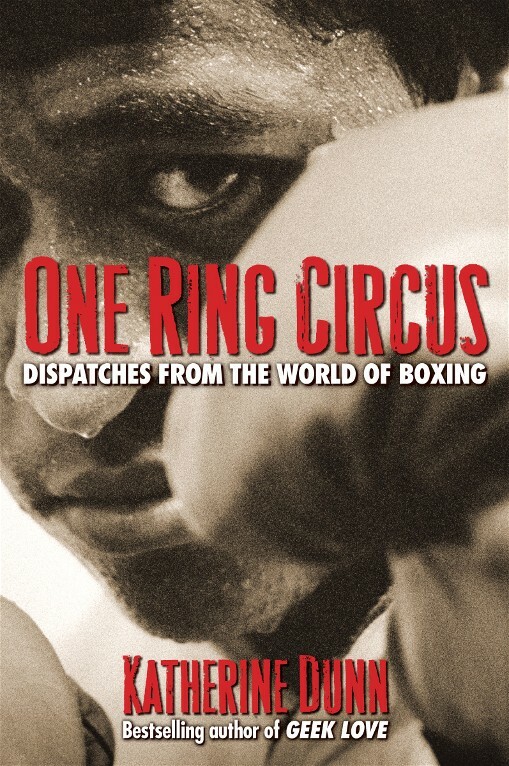 So the last thing I expected was to be blown away by “One Ring Circus: Dispatches From the World of Boxing,” a collection of newspaper, magazine and CBZ pieces from the last 25 years by Katherine Dunn, published by Schaffner Press. A hundred and one years ago Thursday, one of the most legendary champions in boxing history defended his title in the Beer Capital of America, and then celebrated by washing his feet in $2,700 worth of wine.